I apologize in advance but there is currently NOT an option to order a hat only or a 'combo' with the 'shirt only' displayed above Navy is the only color available. Currently, the plan is to have a group photo on WEDNESDAY morning... details to follow. We are just over a month out so see you all at OSHKOSH 2016!!!! PS: Keep poundin' them rivets because it's ALL worth it!!!!! got my shirt, got my hat, got my accommodations on site,one way or another ill be there. west bound from here. 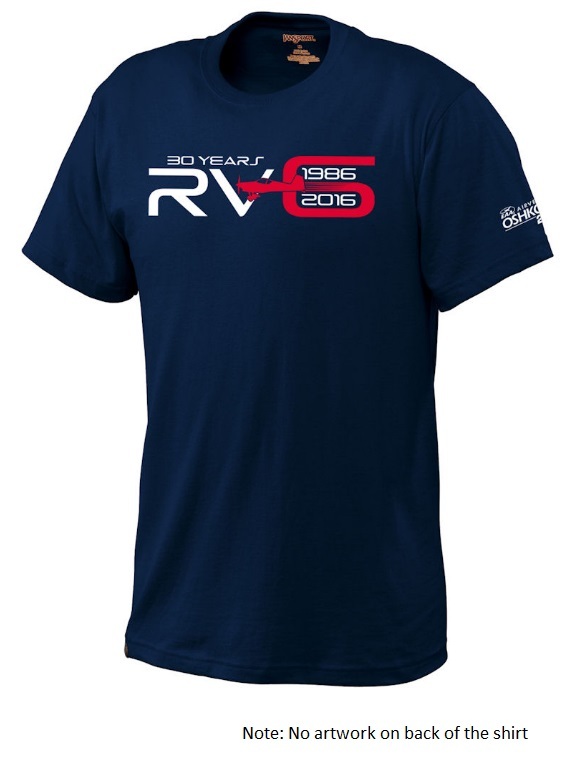 But the RV-6A design is not 30 years old! Very nice shirt and cap design...... I see no color options. This is just not a color that I would wear out in direct "Oshkosh" sunlight. 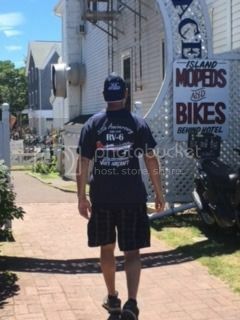 I am a little late in ordering to be able to get my shirt/hat combo in time for Oshkosh; is it possible to purchase them on site? I had hoped I might be able to order online and pick the goods up at the show, but that doesn't appear to be an option. Love to be able to "show the colours" next week! Last edited by Rosie : 07-19-2016 at 11:43 PM. You made the shirt, Terry!!!!!! Itinerant Laborer, mostly for the Forces of Good. Send a private message to GoWhere? Find all posts by GoWhere? The shirt looks more like N144AZ. Very similar to yours, but not quite the same. Look at the top of the rudder and the canopy is a slider. Didn't the slider option come out after the -A option? 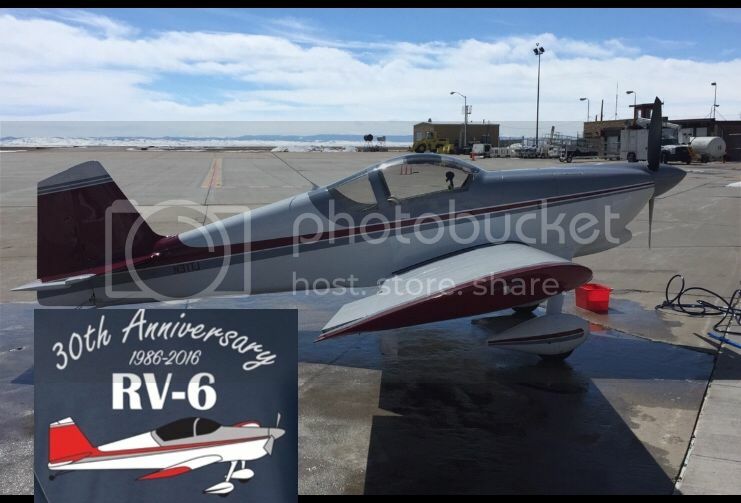 Alan Tolle's RV-6A was the first factory supplied slider (flew early 1991) but wasn't the first customer built RV-6A. I remember seeing it under construction. Last edited by az_gila : 07-22-2016 at 09:28 PM. 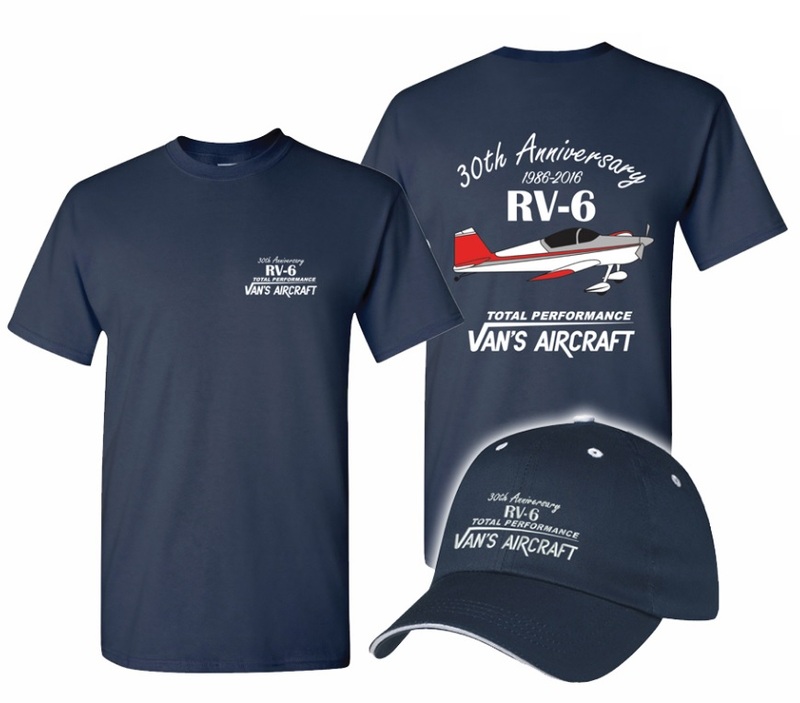 Not interested in stealing any sales from EAA, but for those that might be interested in additional options there is a good possibility that there will be a Van's Aircraft Inc RV-6 30 year anniversary celebration shirt available for sale at the Van's tent at OSH.